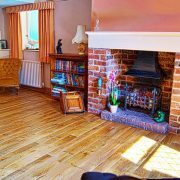 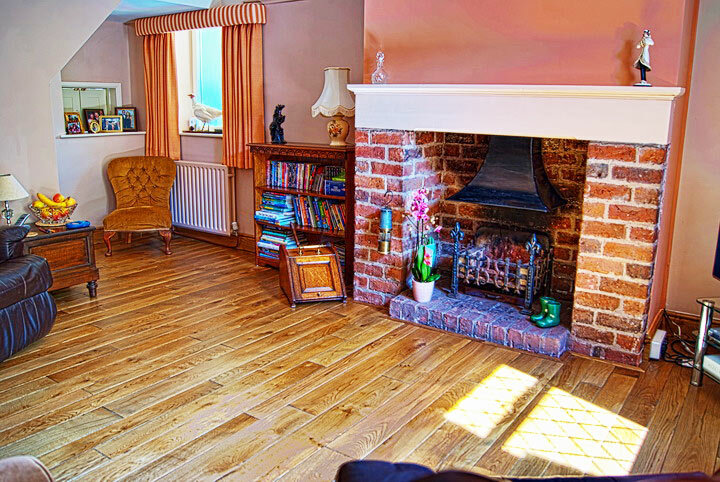 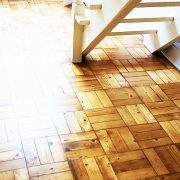 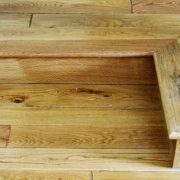 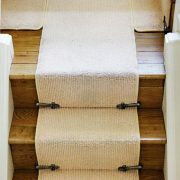 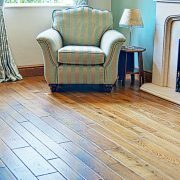 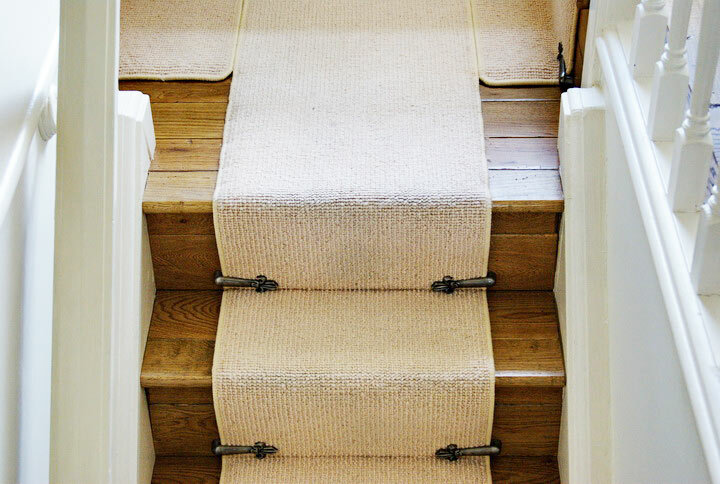 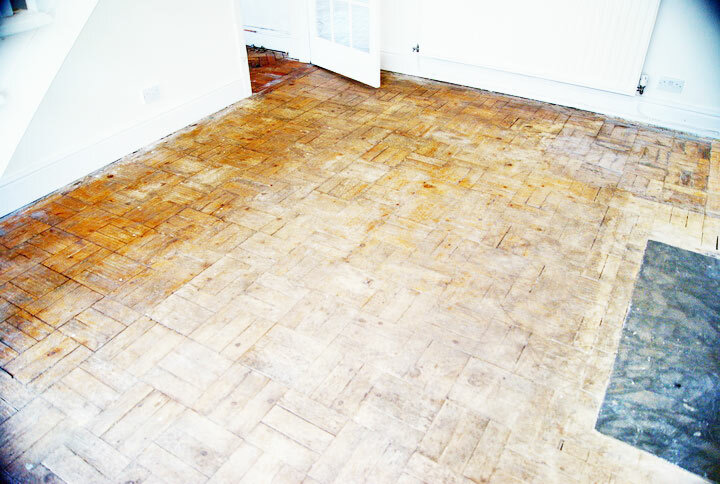 This is a nice example of how a distressed wood floor can give a home a real sense of character. 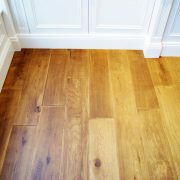 Clients and HMC Flooring were both extremely happy with the result. 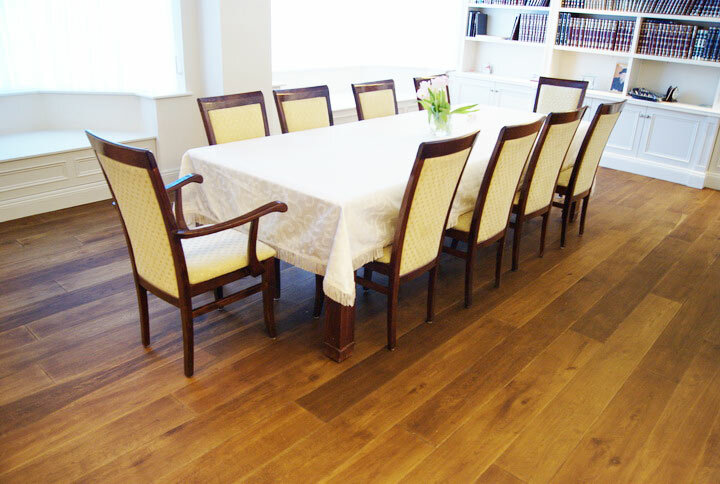 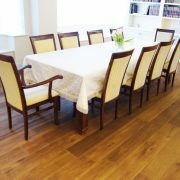 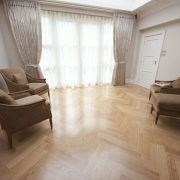 A stunning example of a long 50cm plank herringbone oak parquet floor installation. 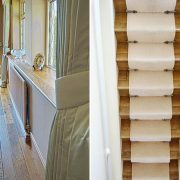 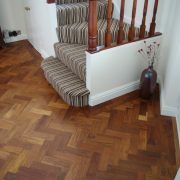 The client was very happy with it and so were we. 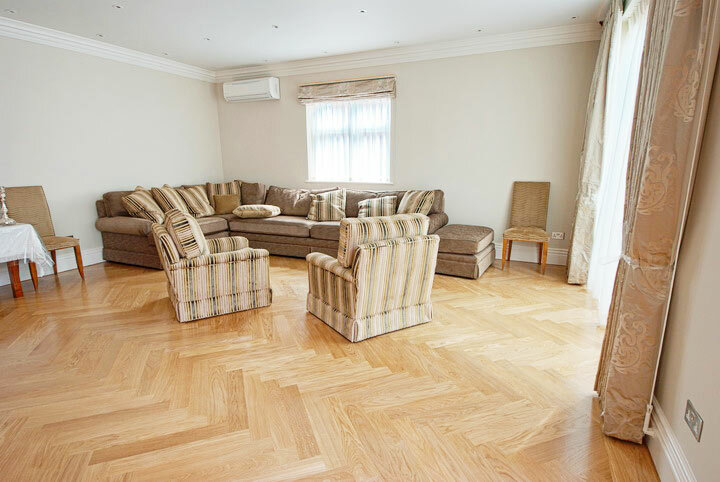 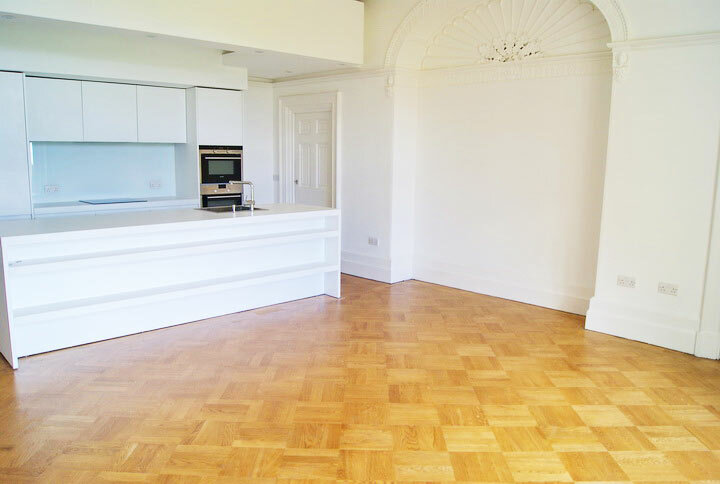 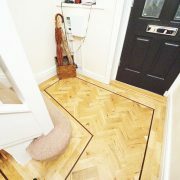 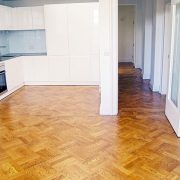 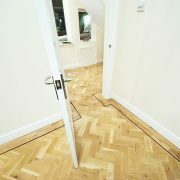 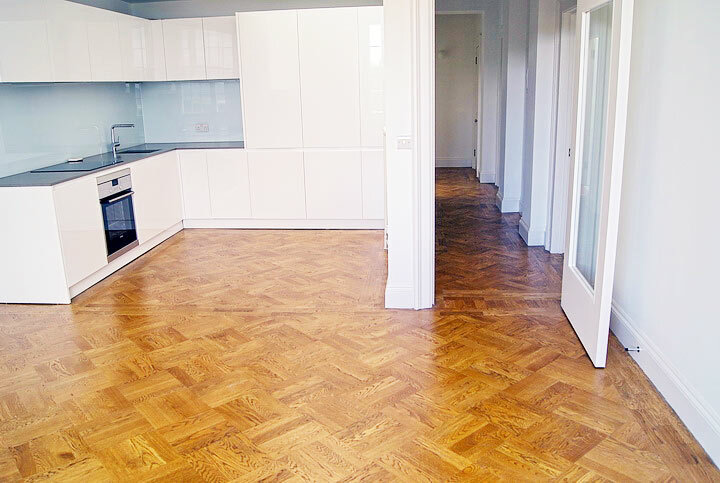 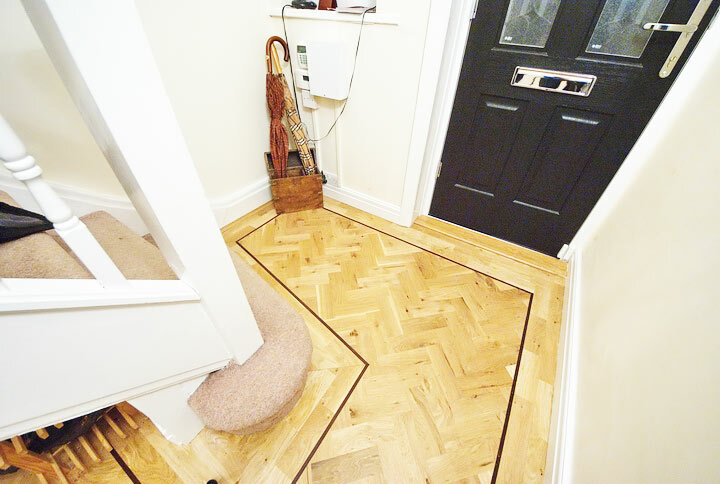 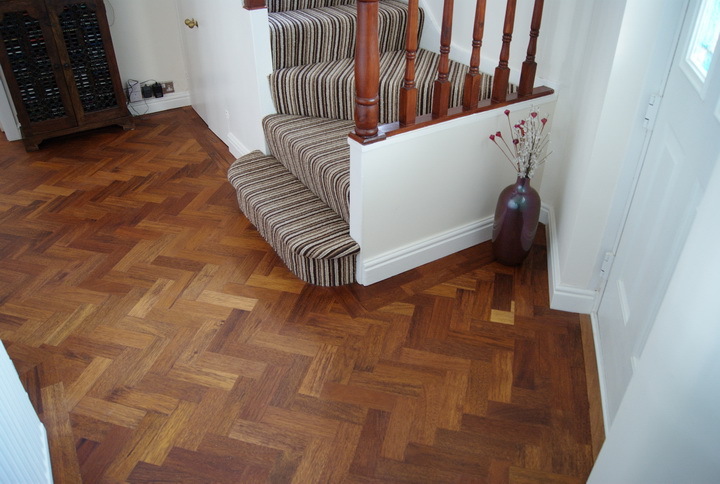 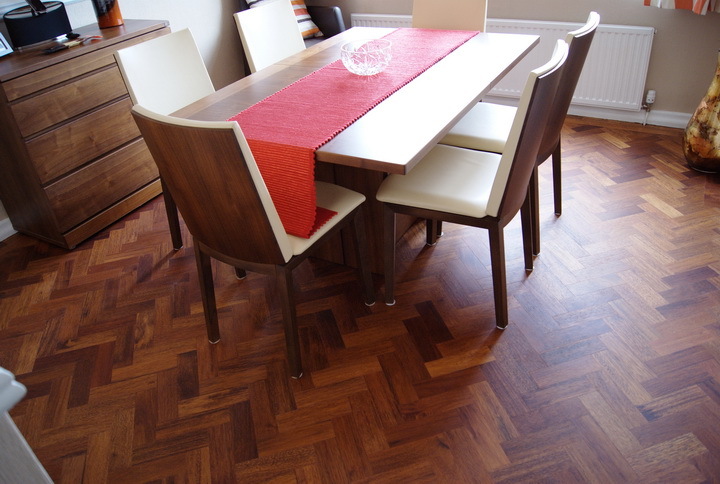 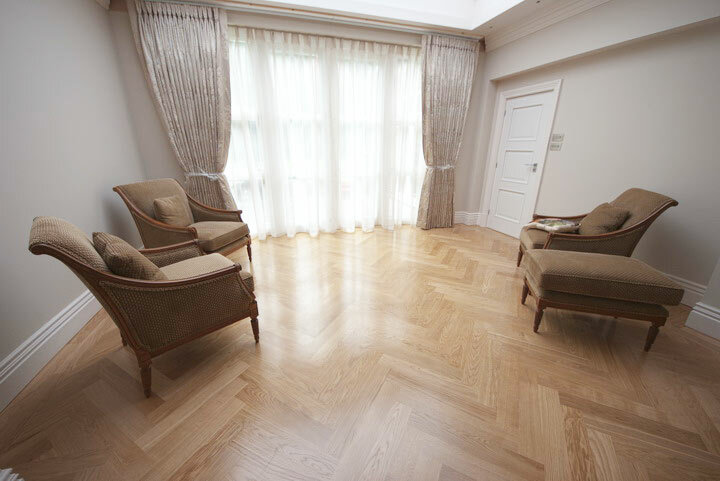 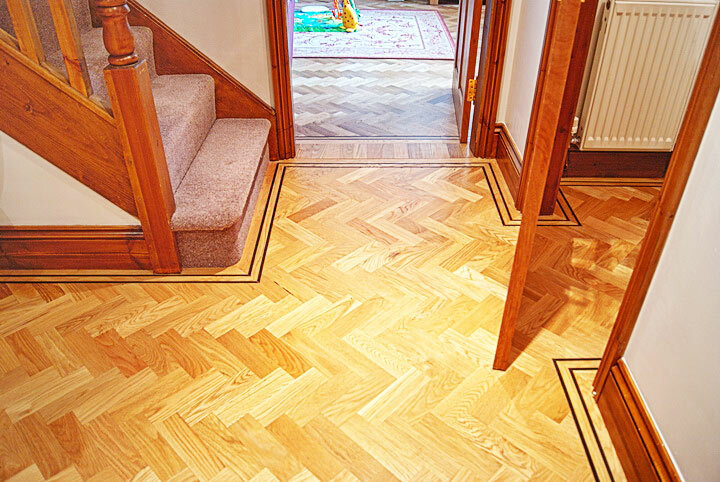 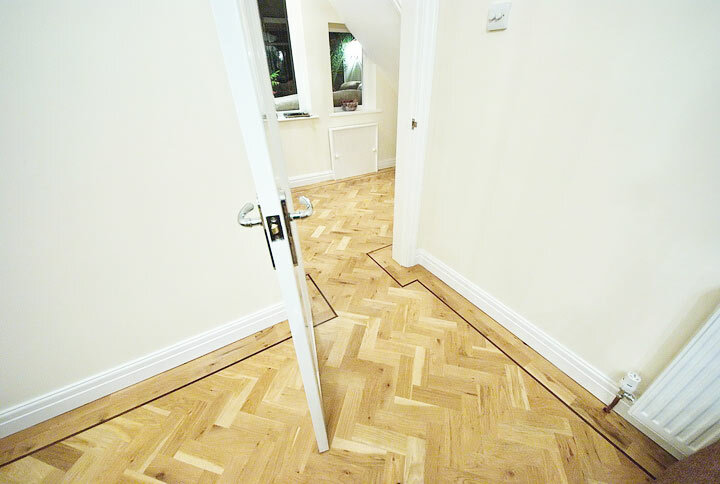 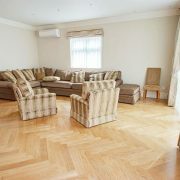 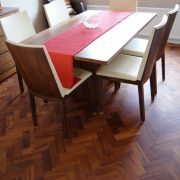 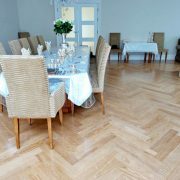 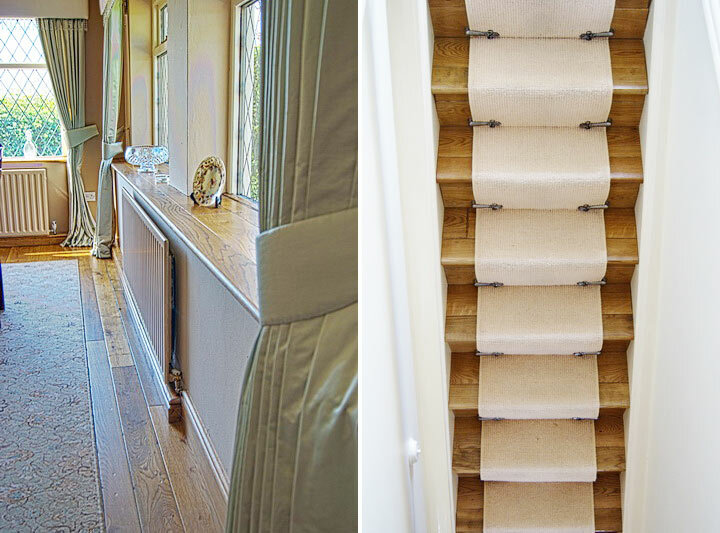 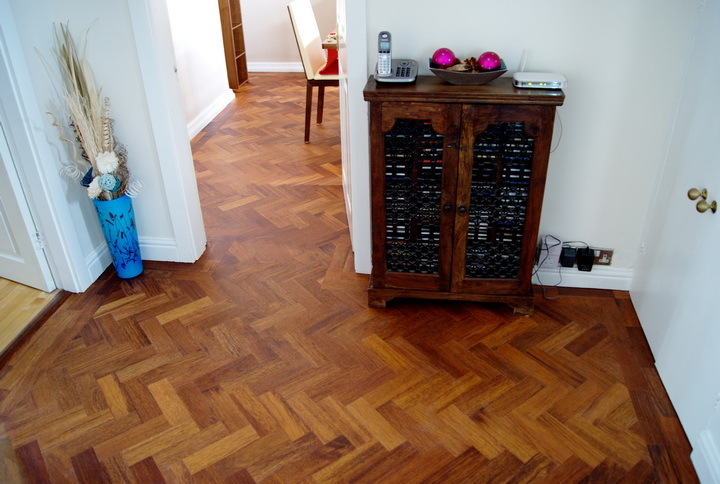 Here you can see a stunning example of a herringbone merbau parquet floor fitted for a lovely client just recently. 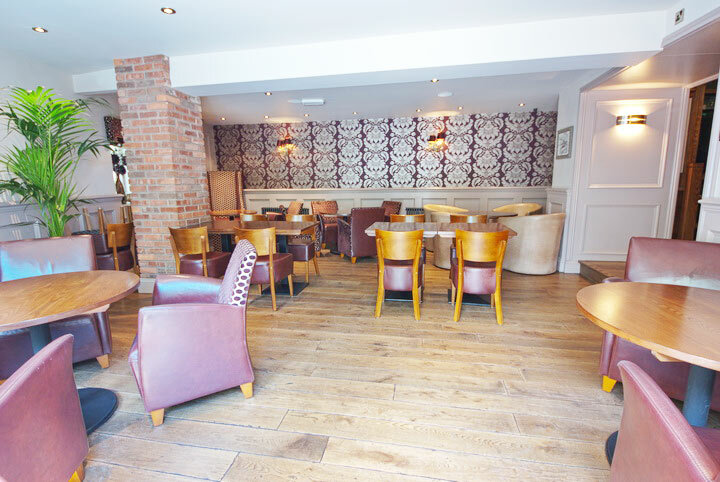 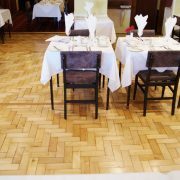 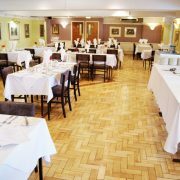 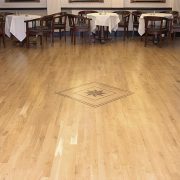 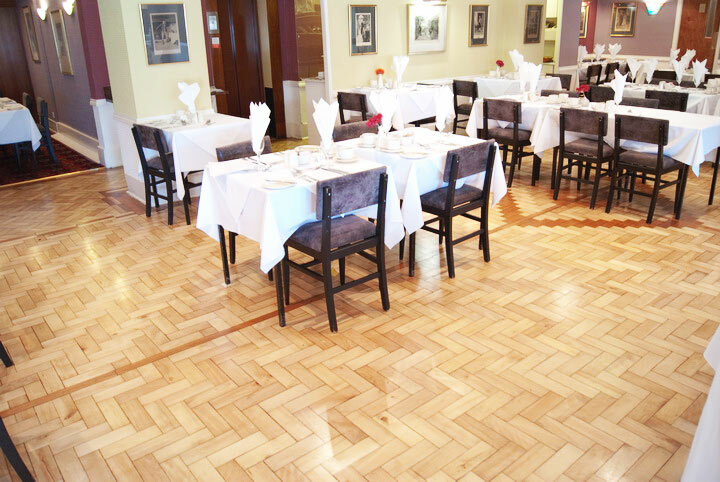 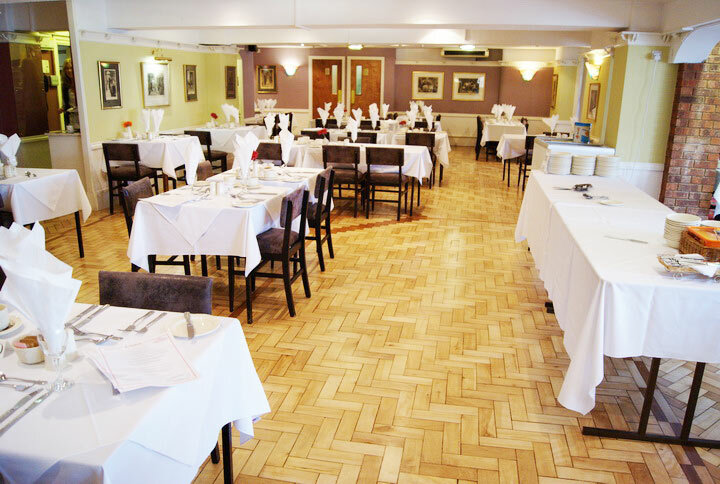 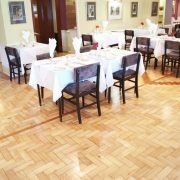 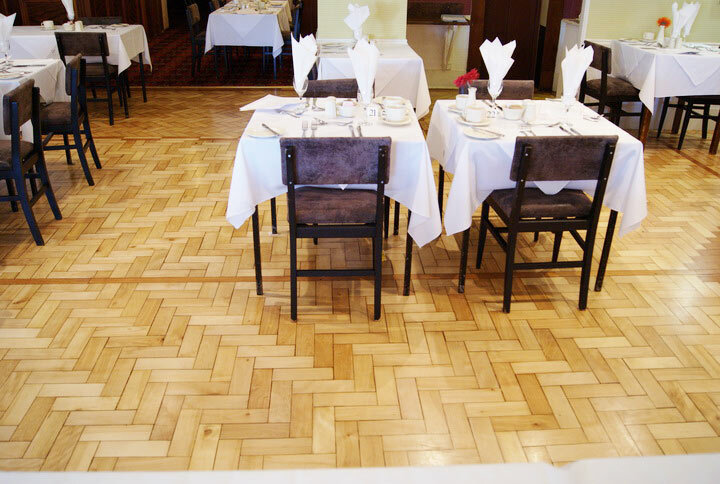 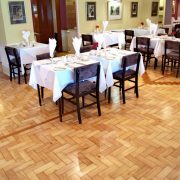 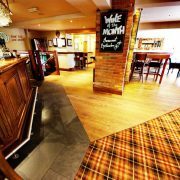 The Lindum Park Hotel was a commercial herringbone parquet floor restoration project which turned out quite spectacularly. 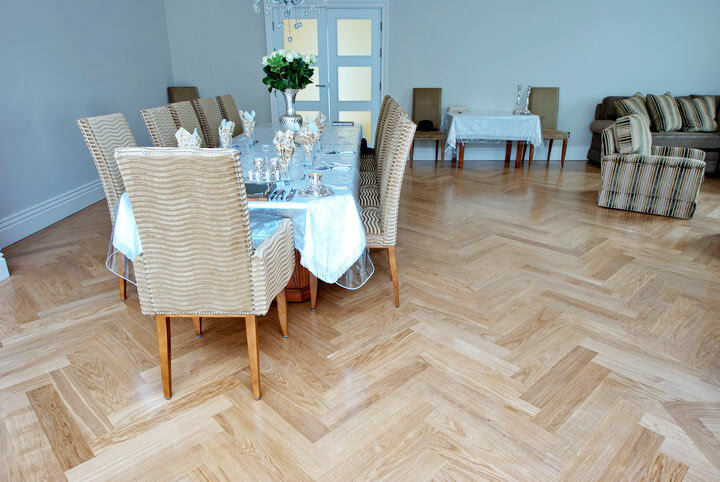 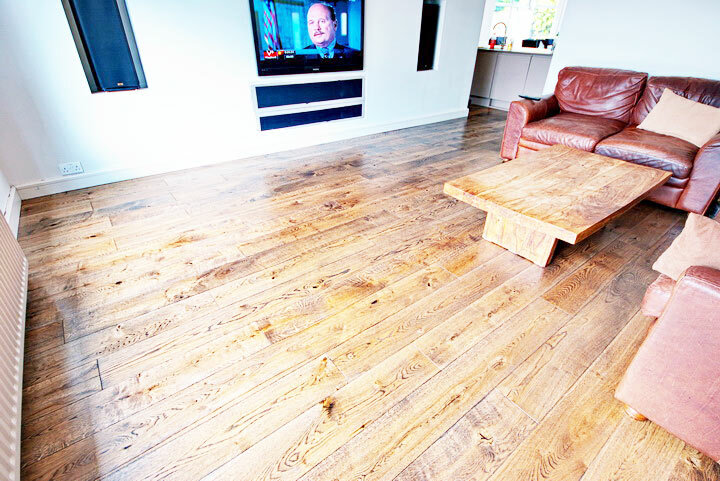 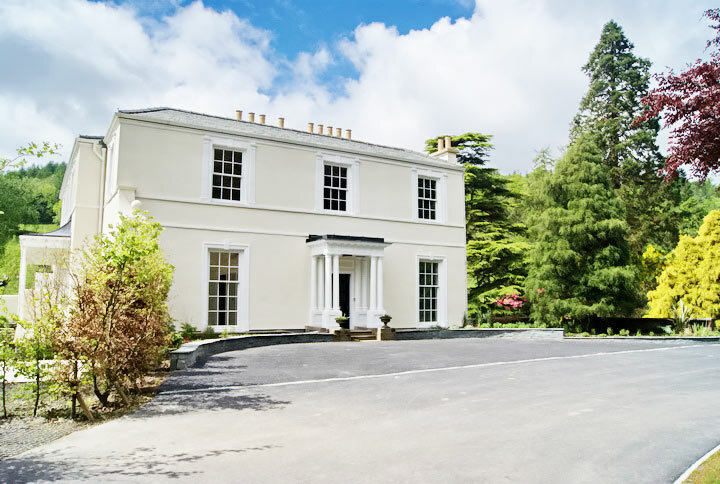 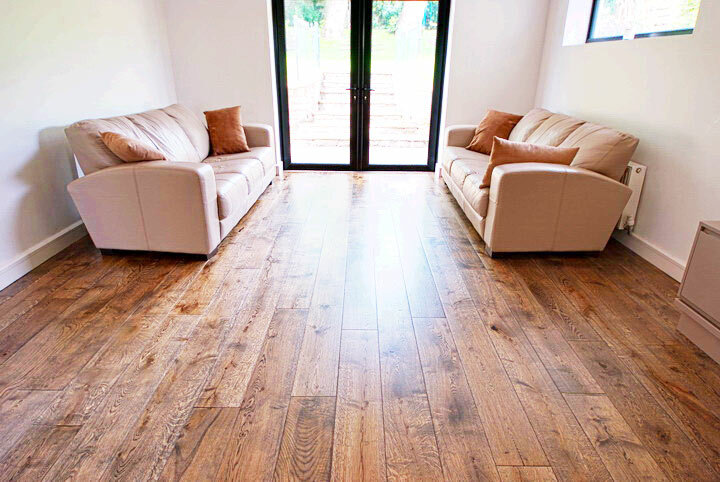 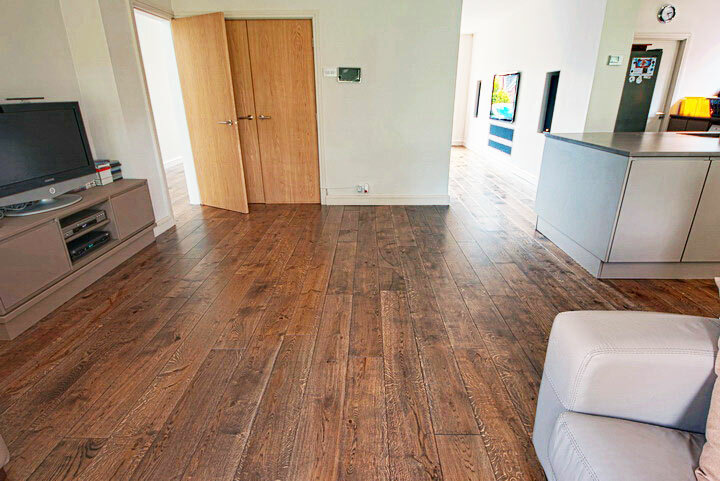 We were lucky enough to win the full house parquet floor renovation at Summer House Hill. 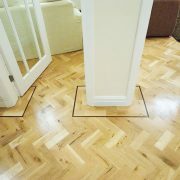 What a privilege!! 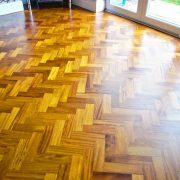 There were a lot of rooms with the traditional basket weave parquet that had, over the years, become a little bit worn out. 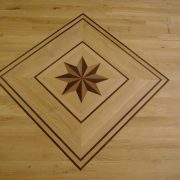 We gave it ur best shot and the results turned out to be quite fantastic. 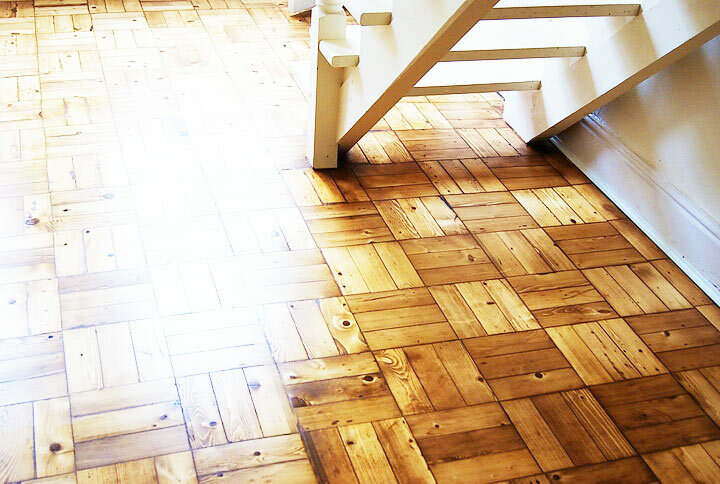 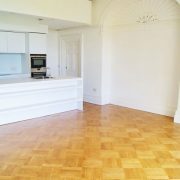 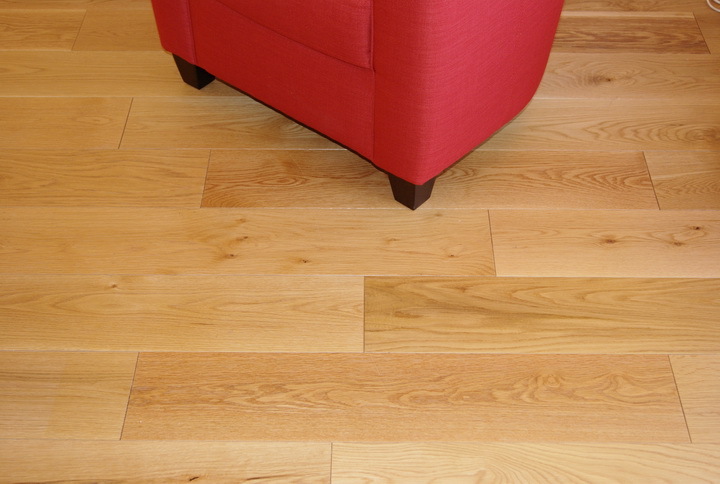 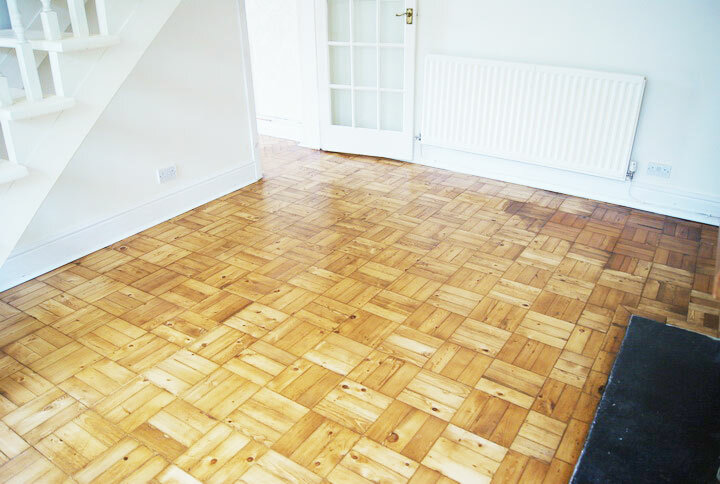 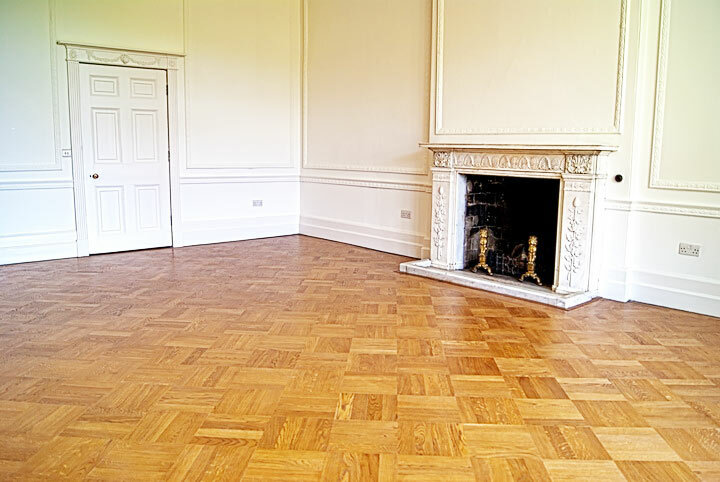 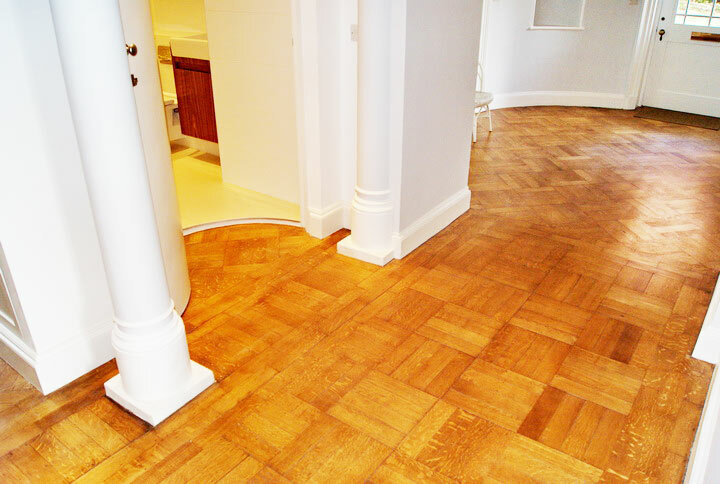 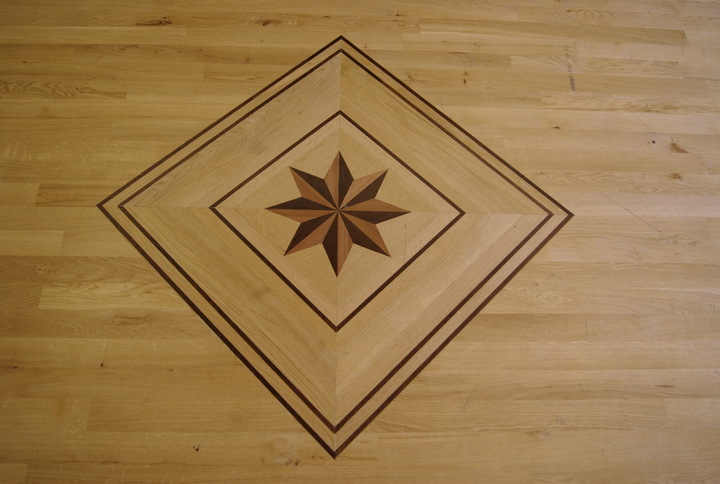 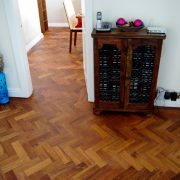 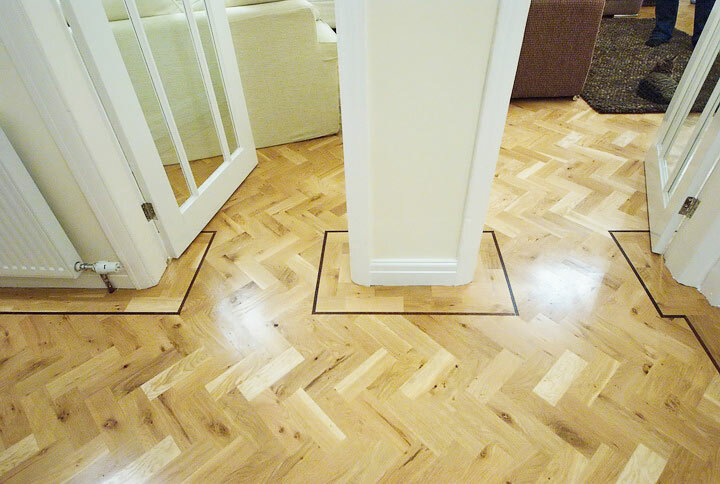 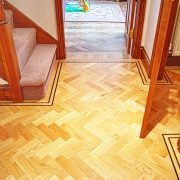 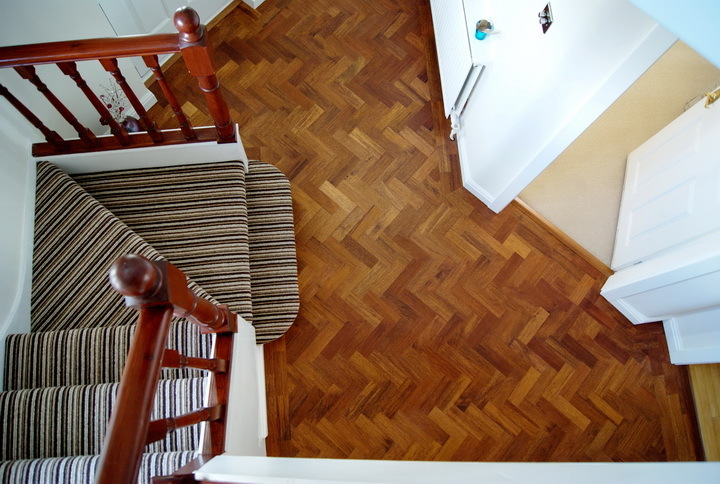 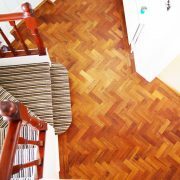 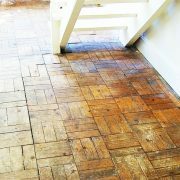 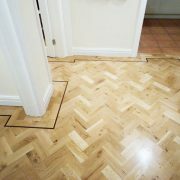 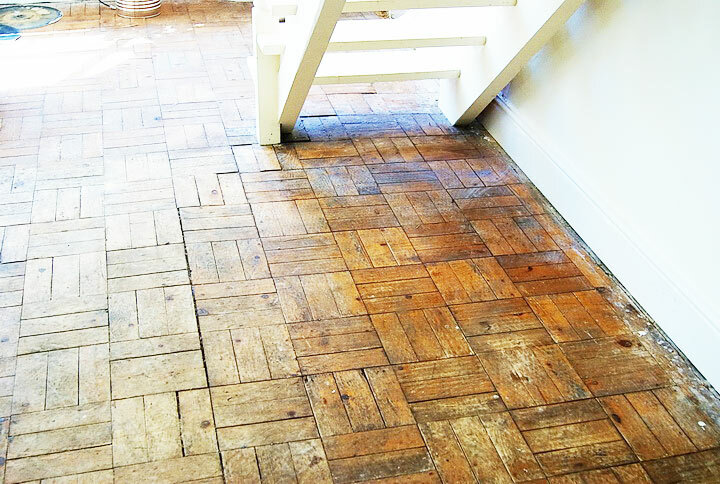 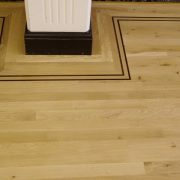 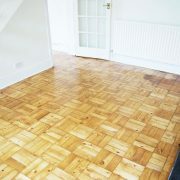 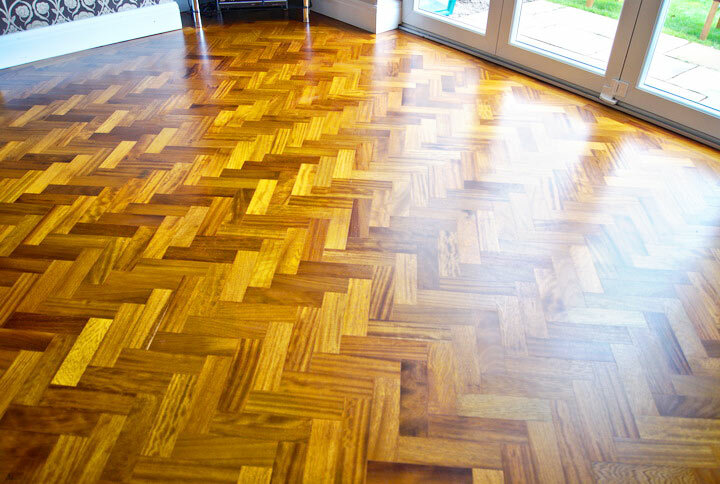 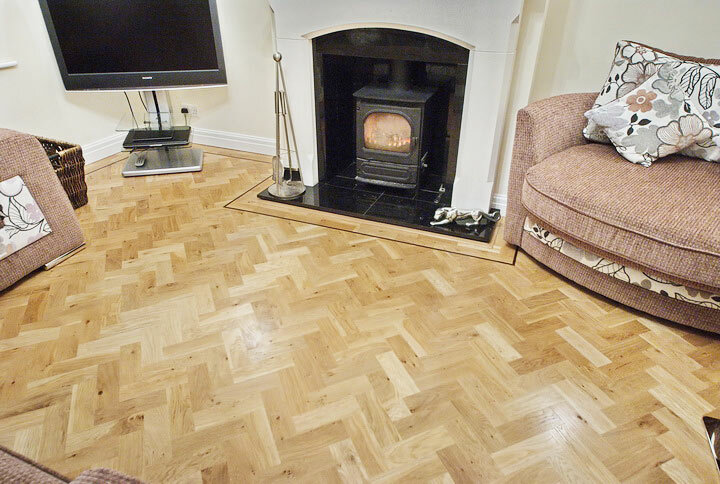 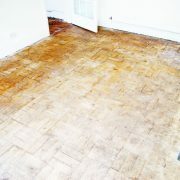 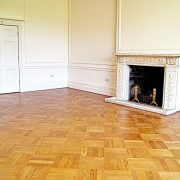 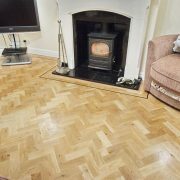 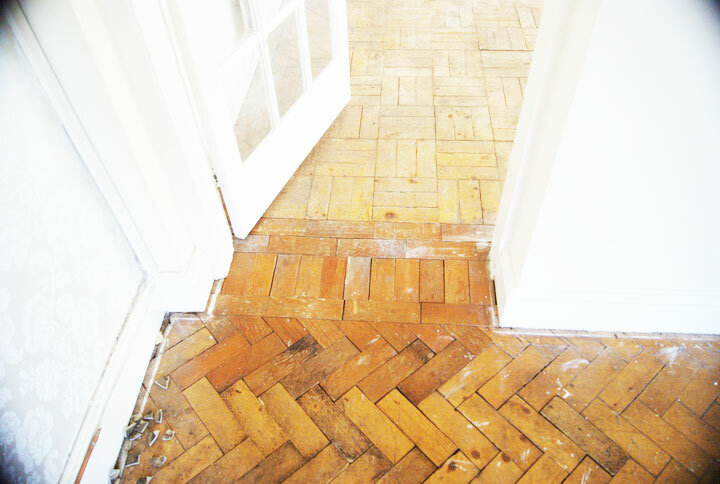 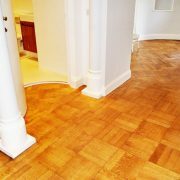 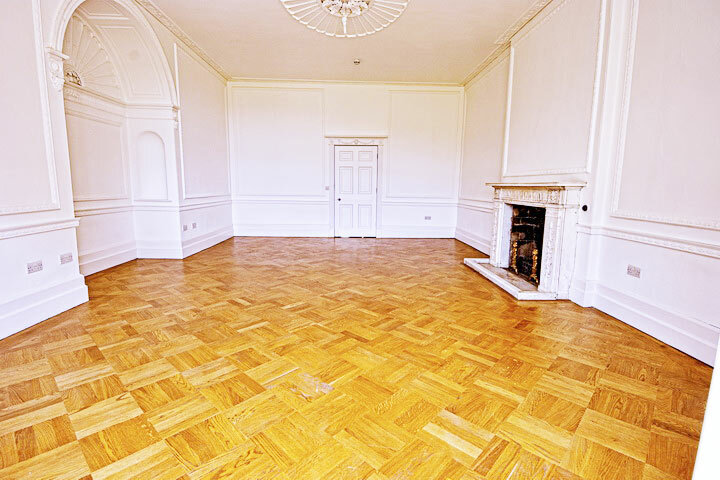 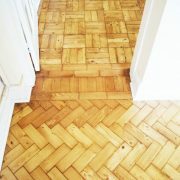 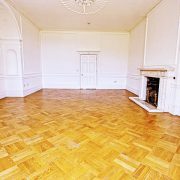 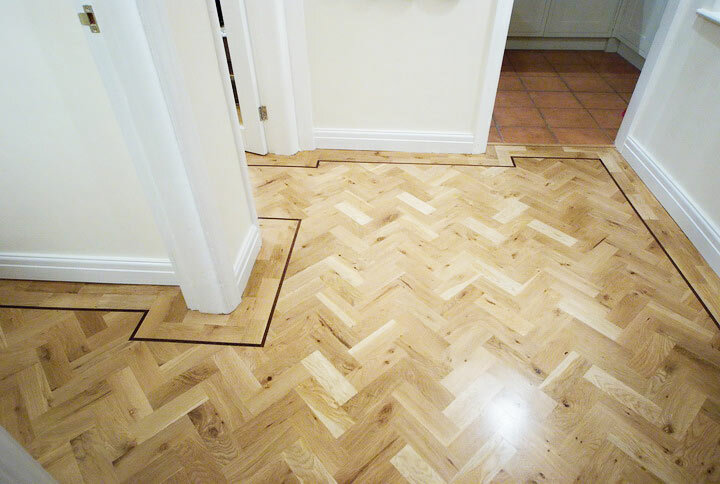 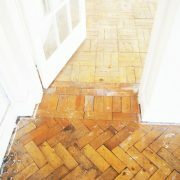 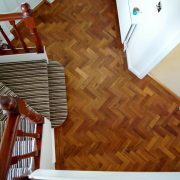 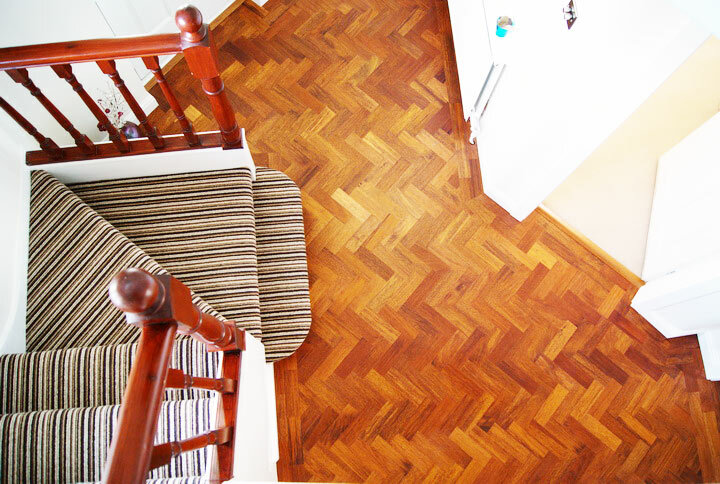 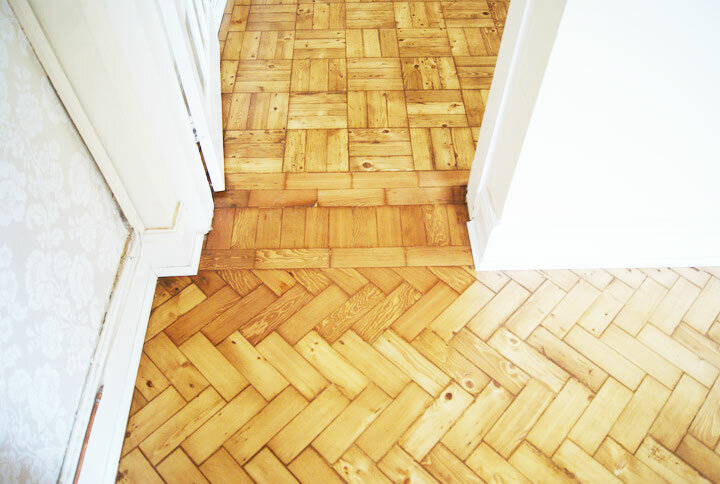 Our client Bart was looking to restore his living room basket weave parquet floor to its former glory. 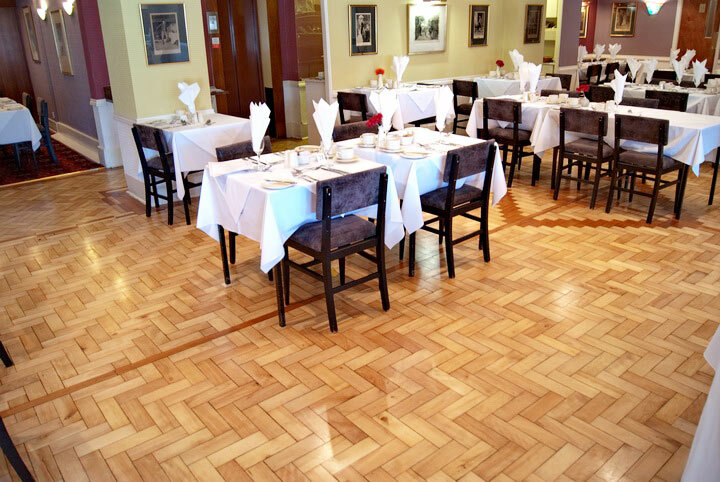 We think we did a pretty fine job of it even if we do say so ourselves! 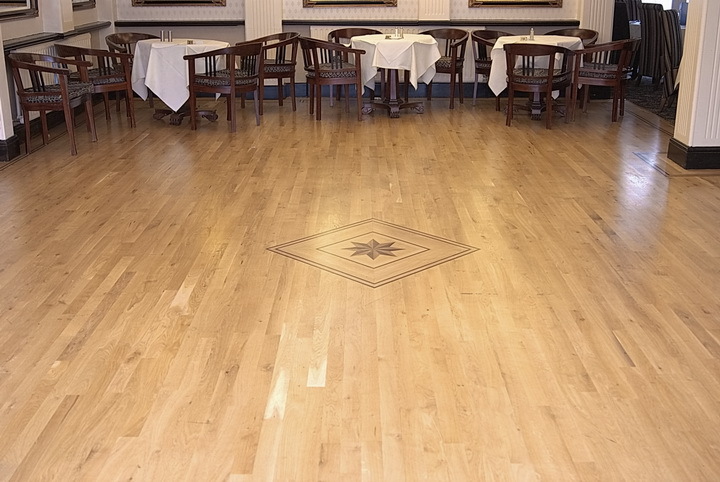 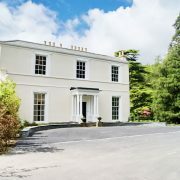 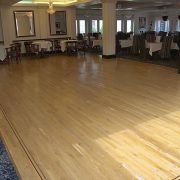 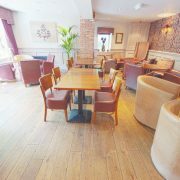 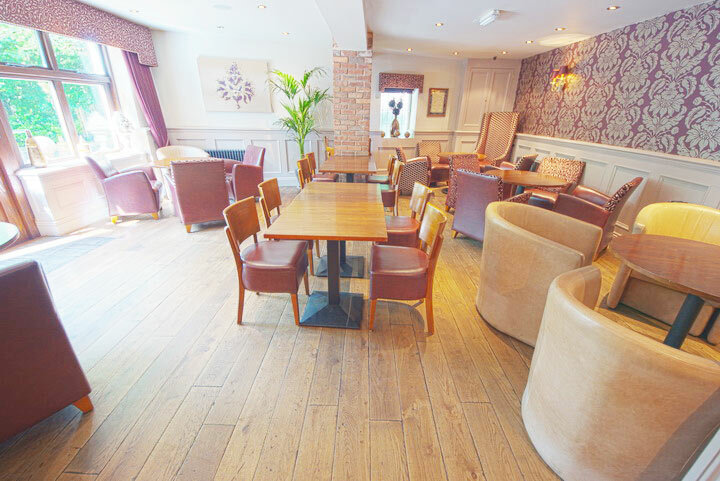 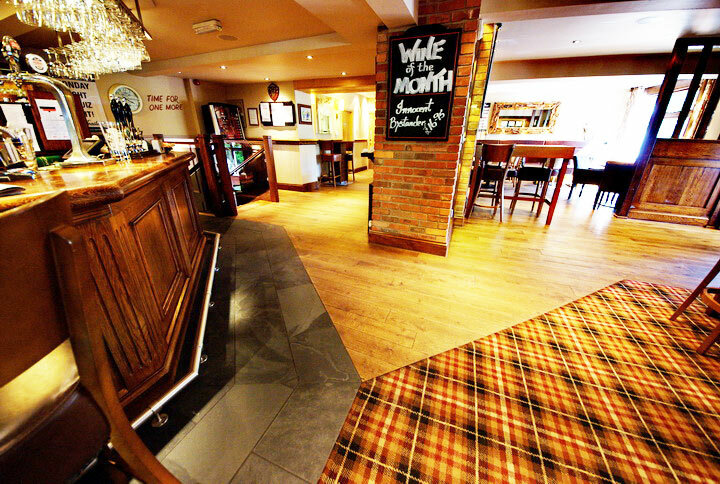 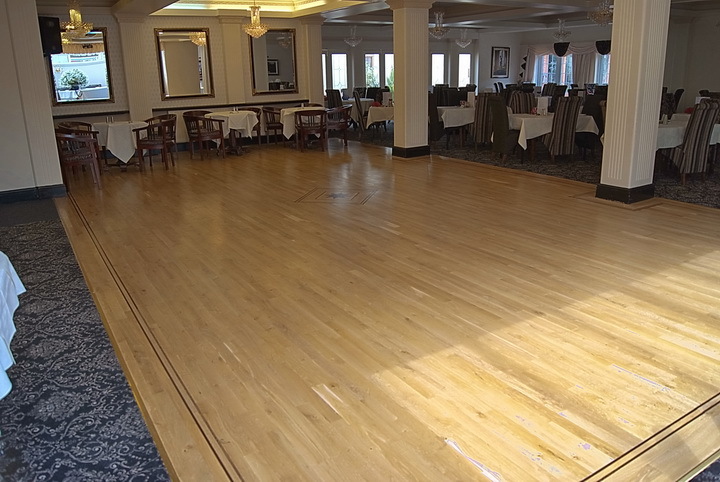 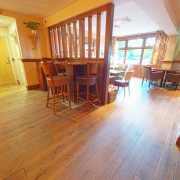 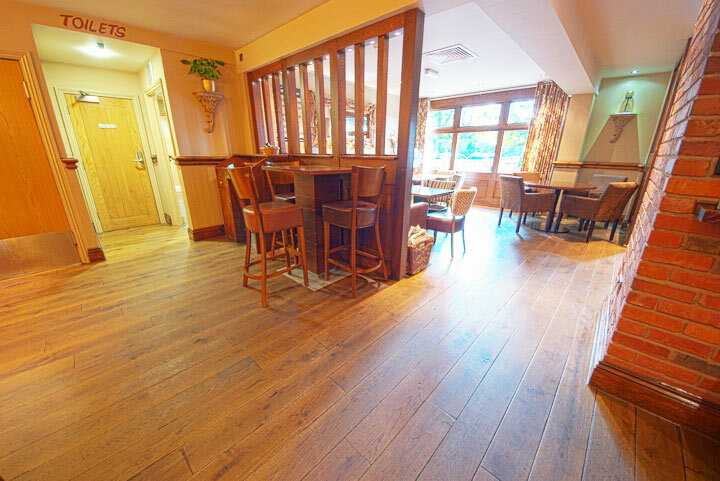 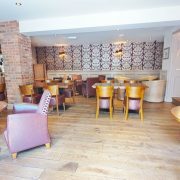 We were asked to recondition the whole of the Clifton Park Hotel dining area and dance floor. 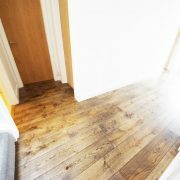 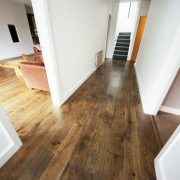 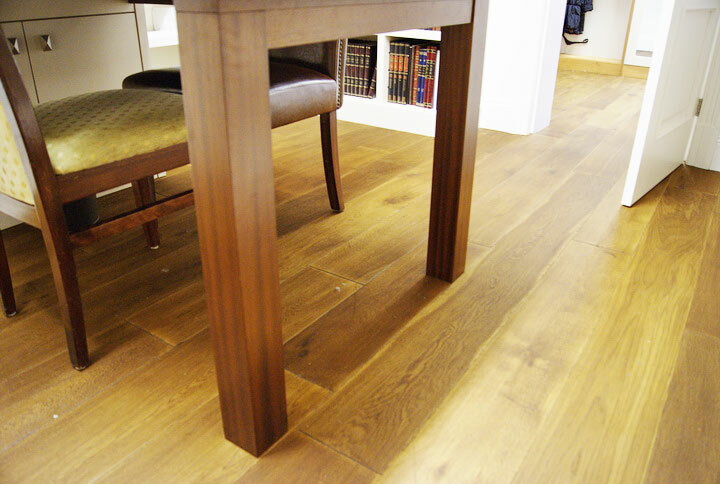 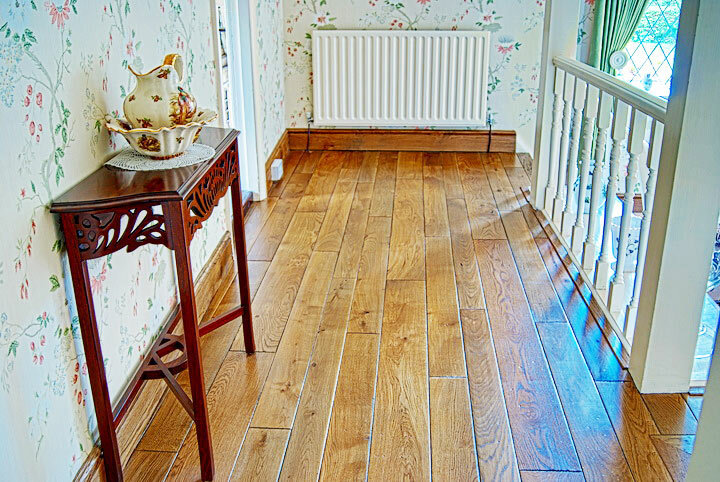 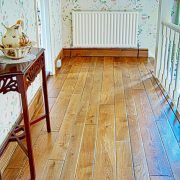 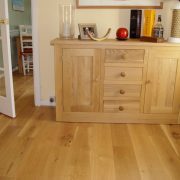 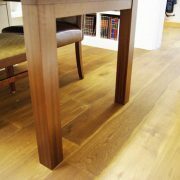 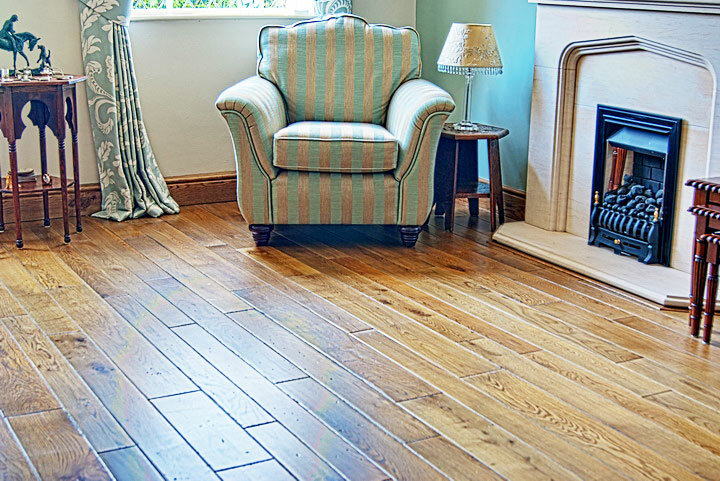 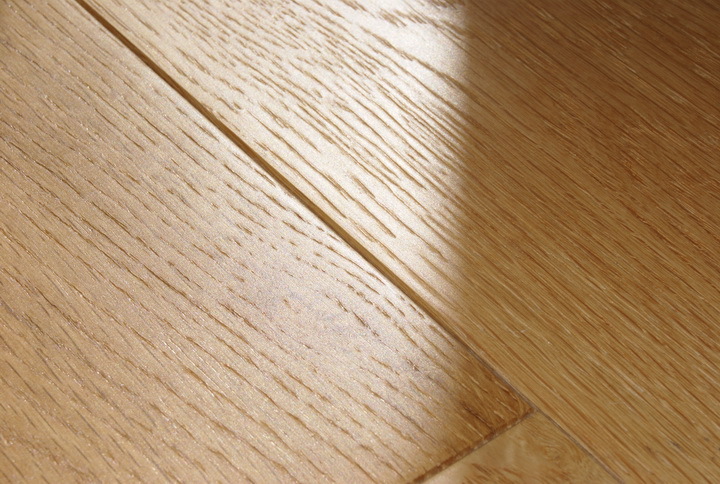 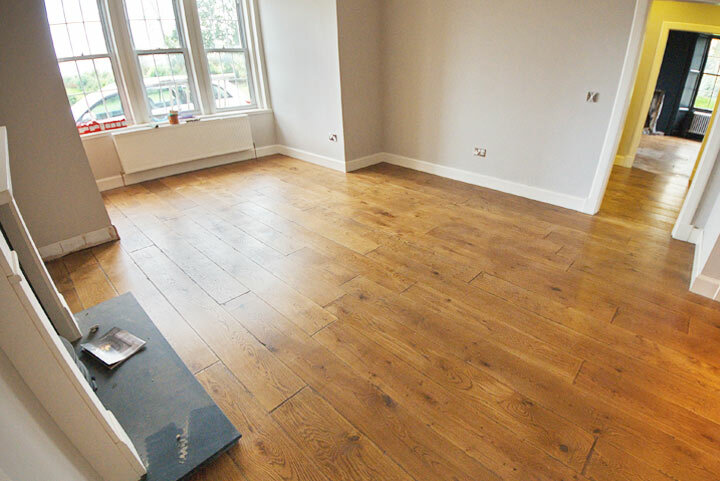 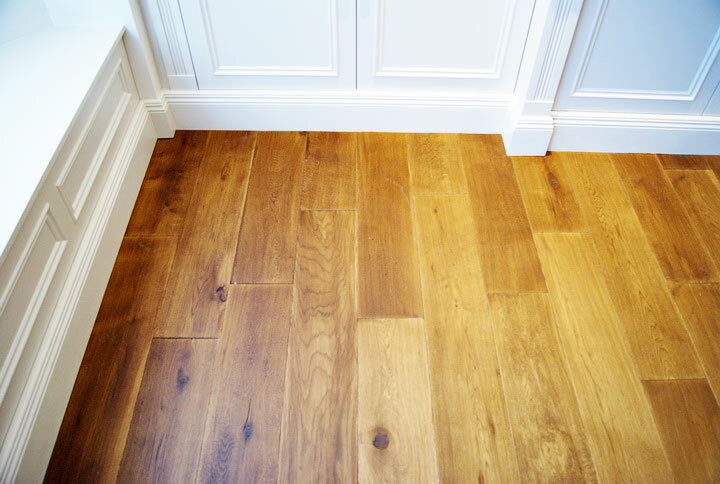 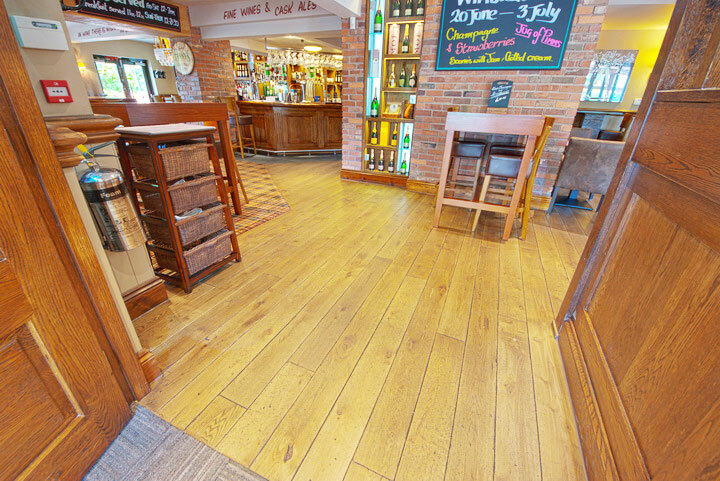 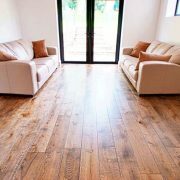 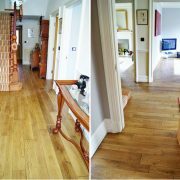 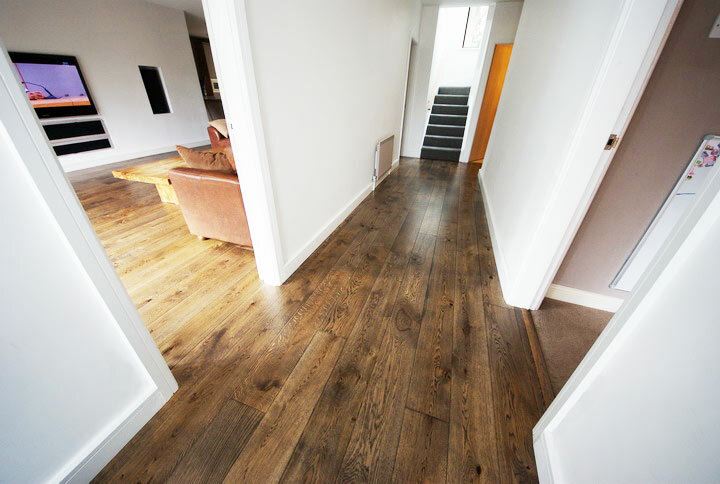 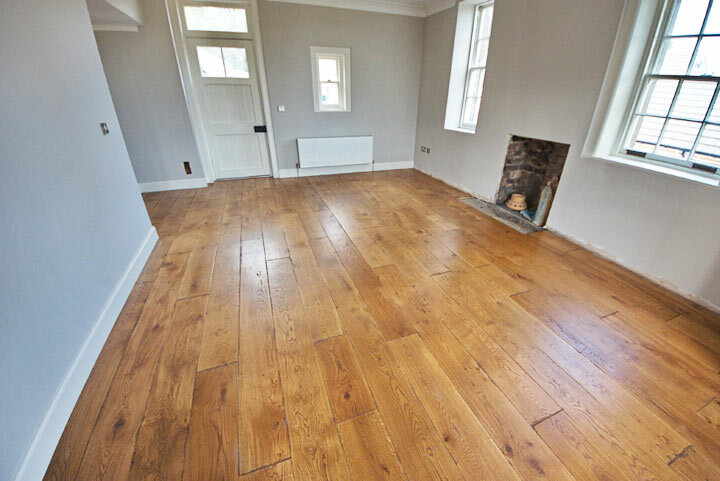 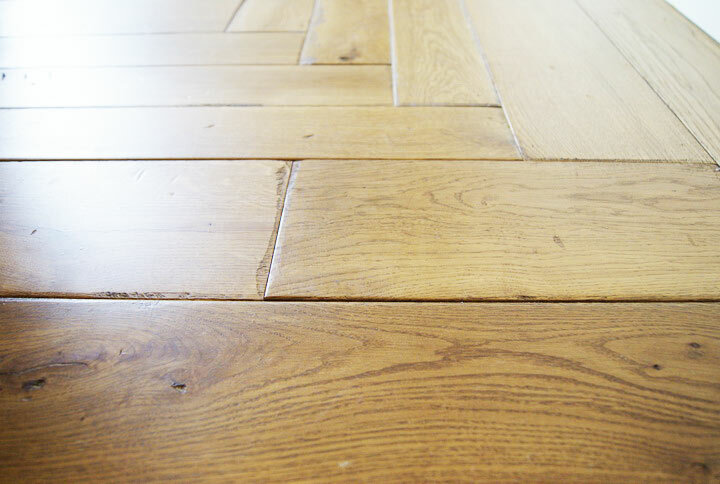 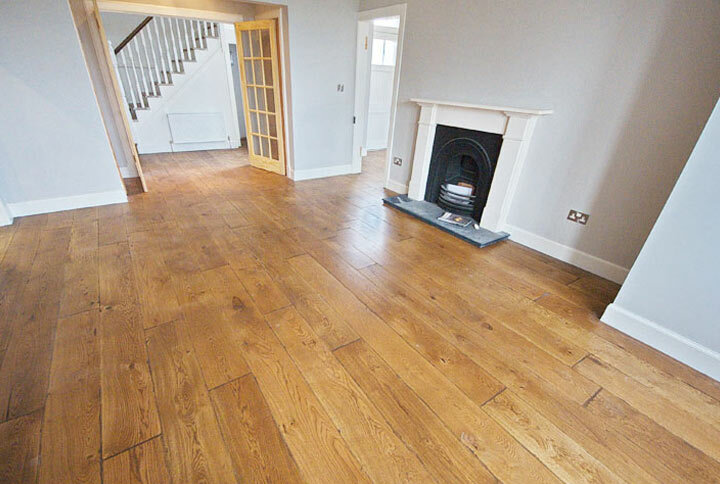 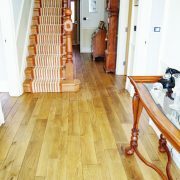 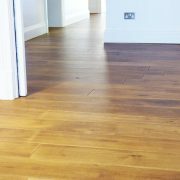 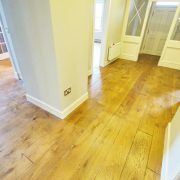 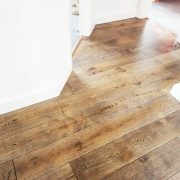 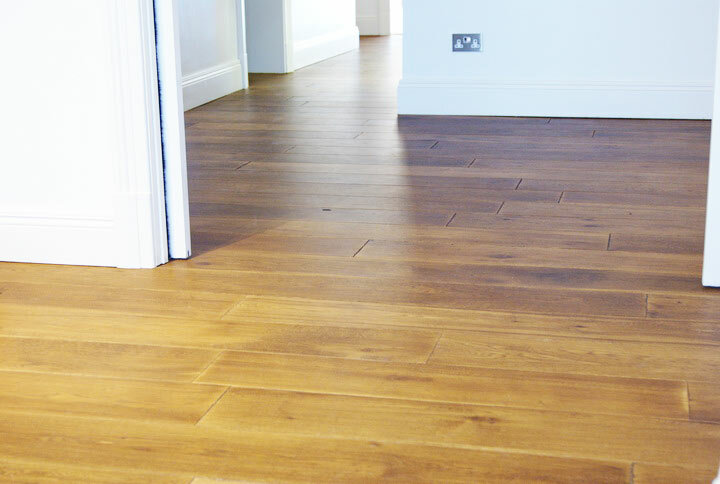 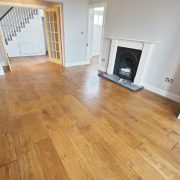 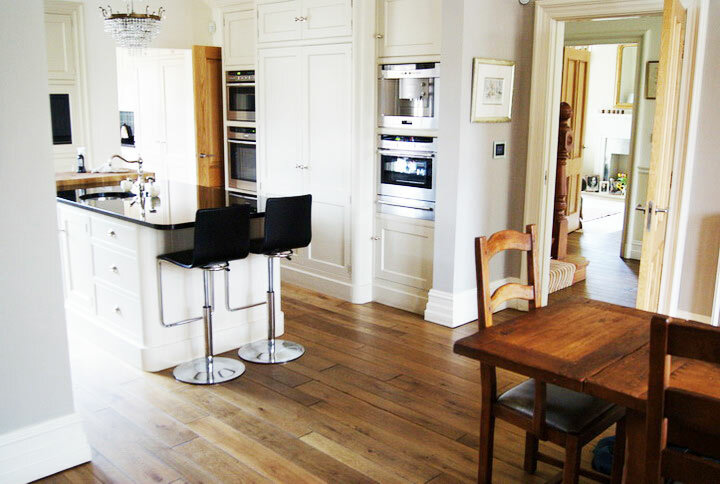 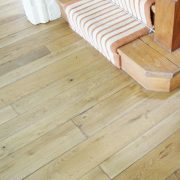 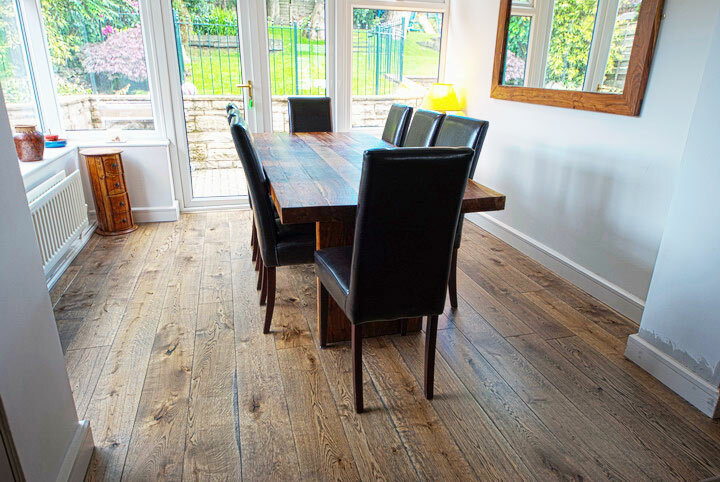 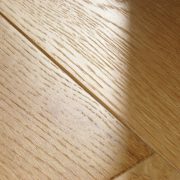 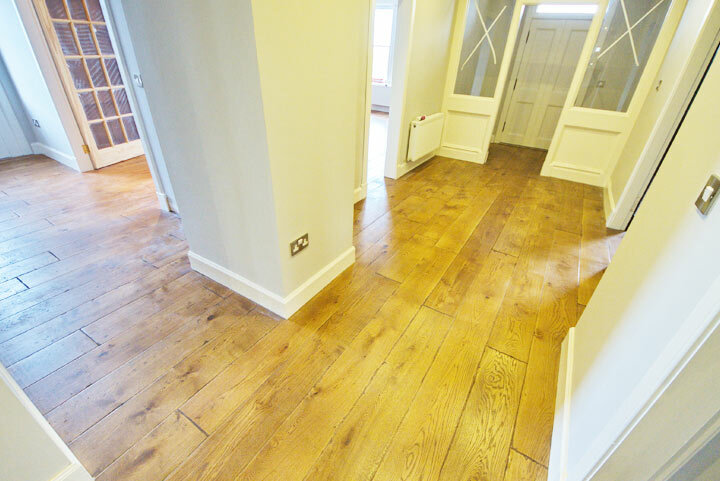 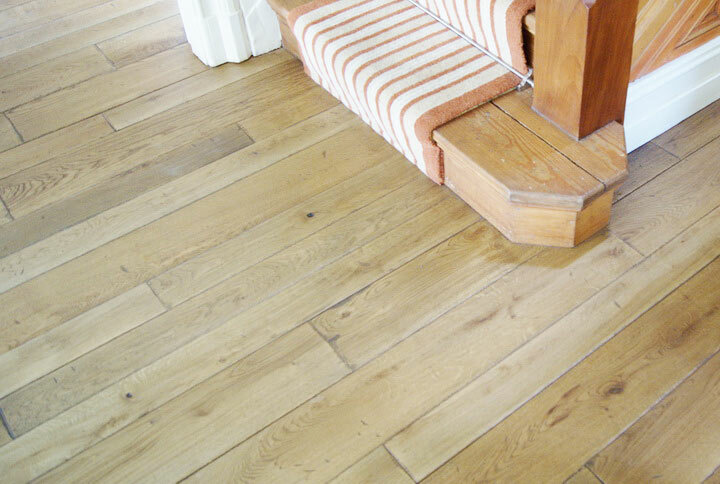 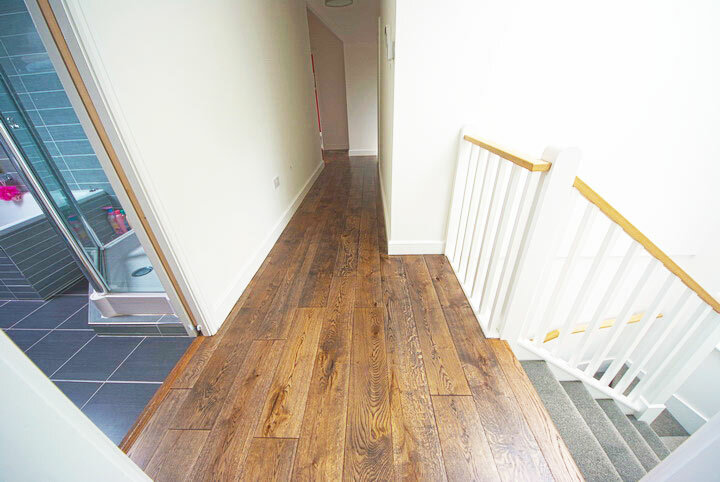 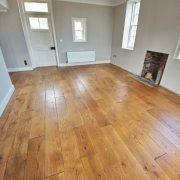 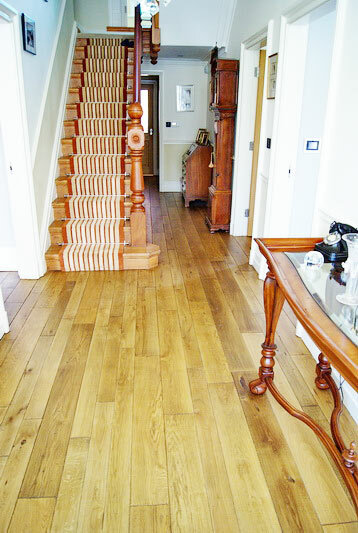 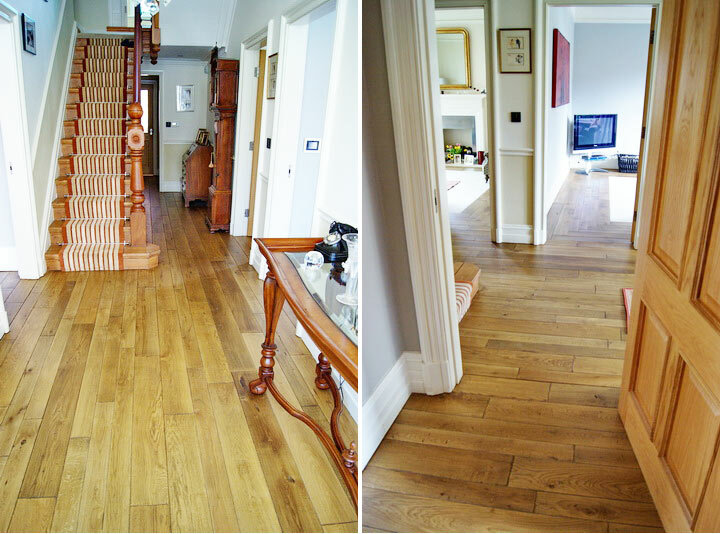 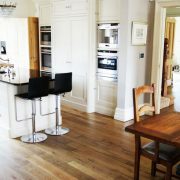 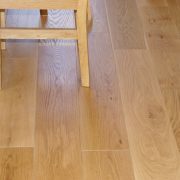 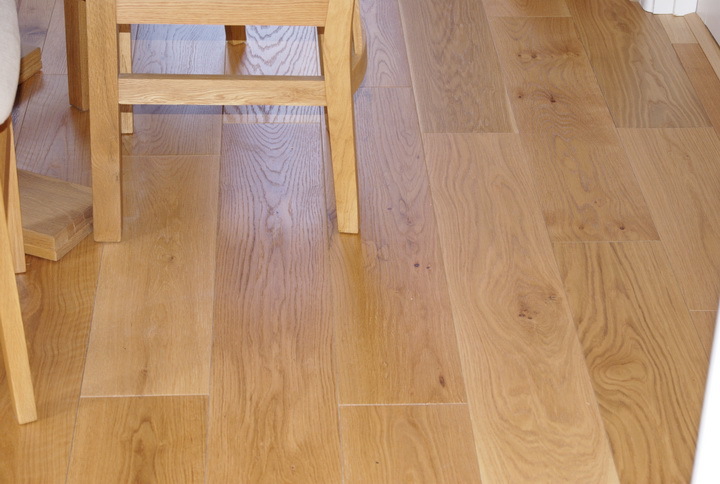 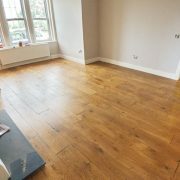 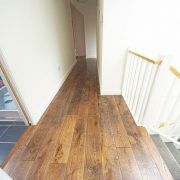 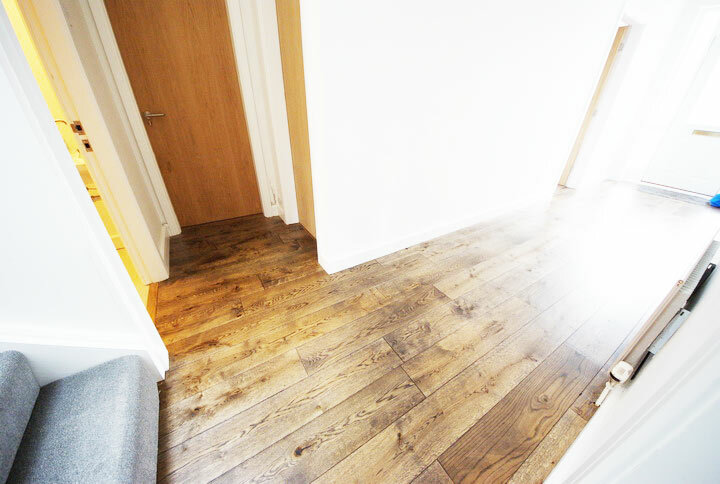 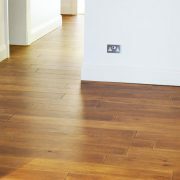 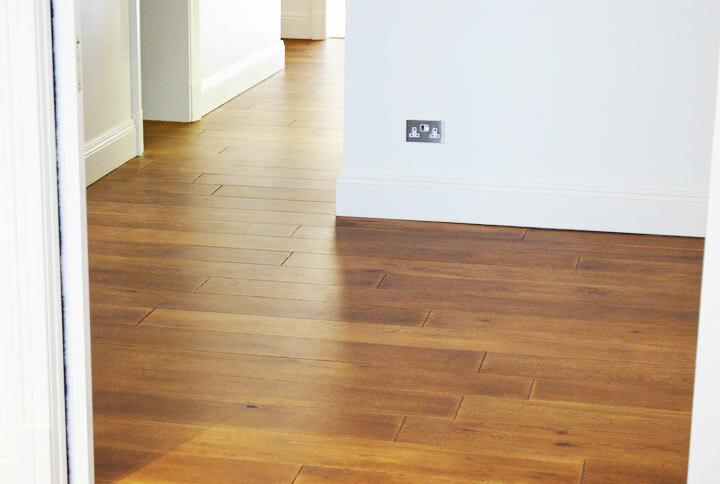 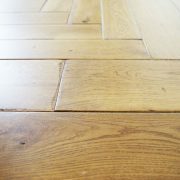 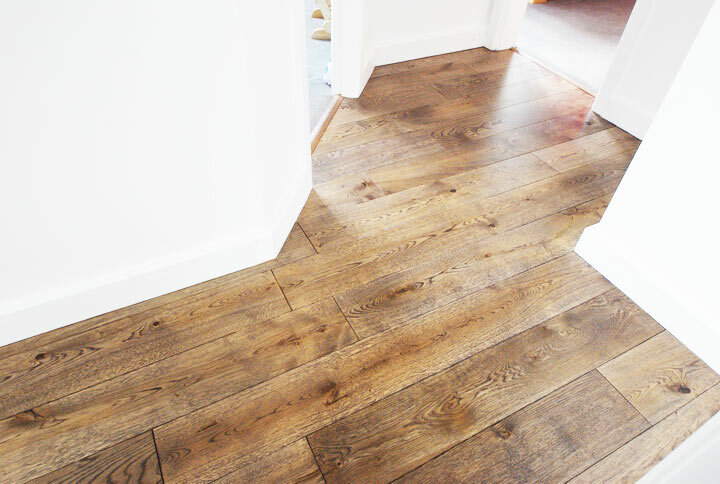 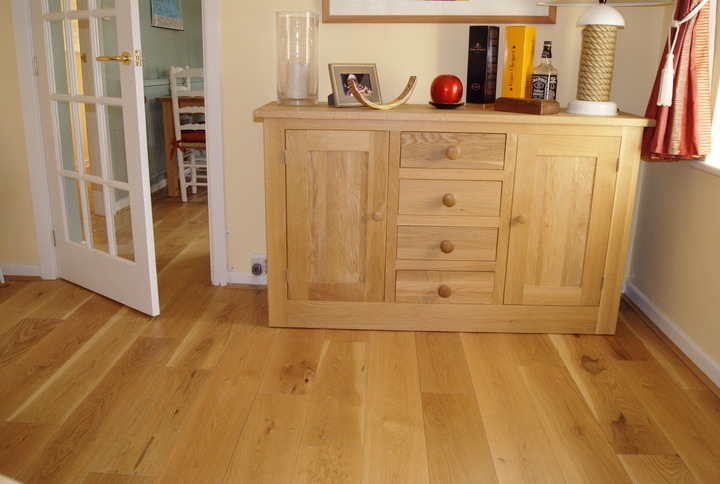 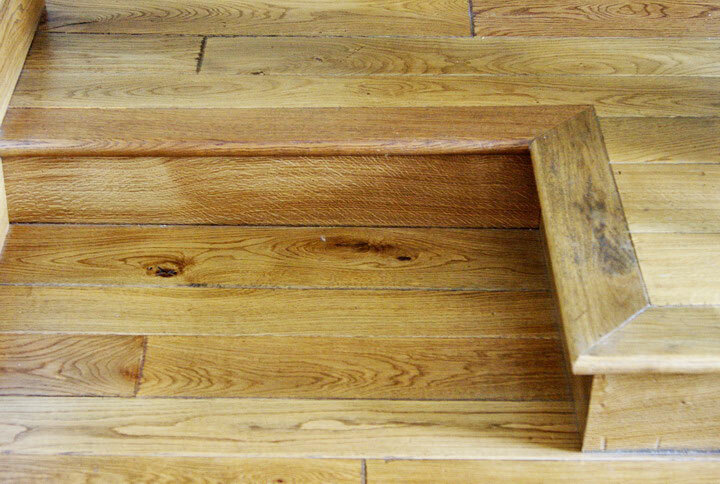 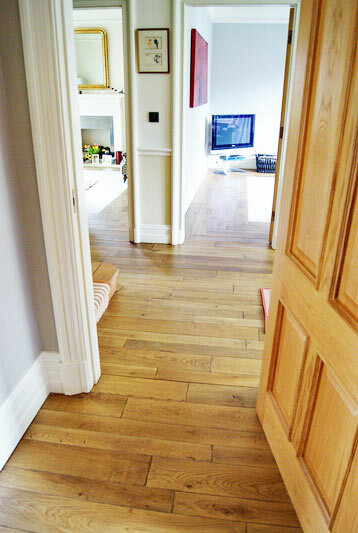 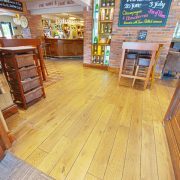 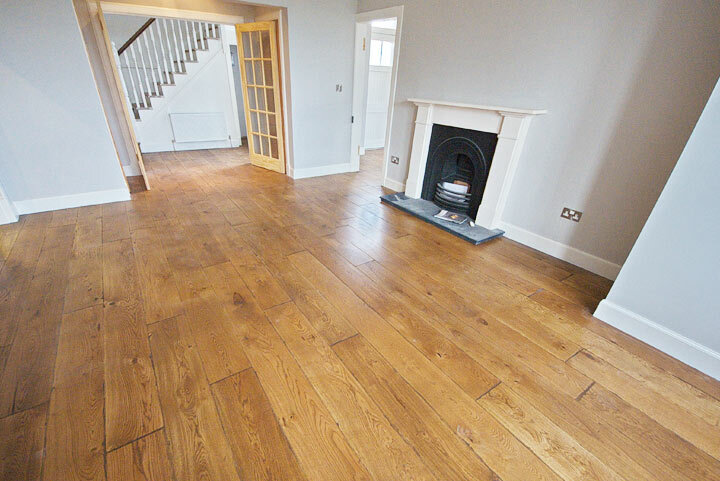 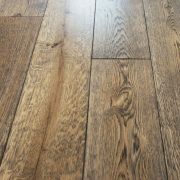 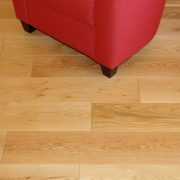 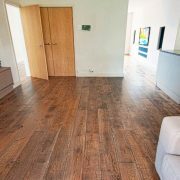 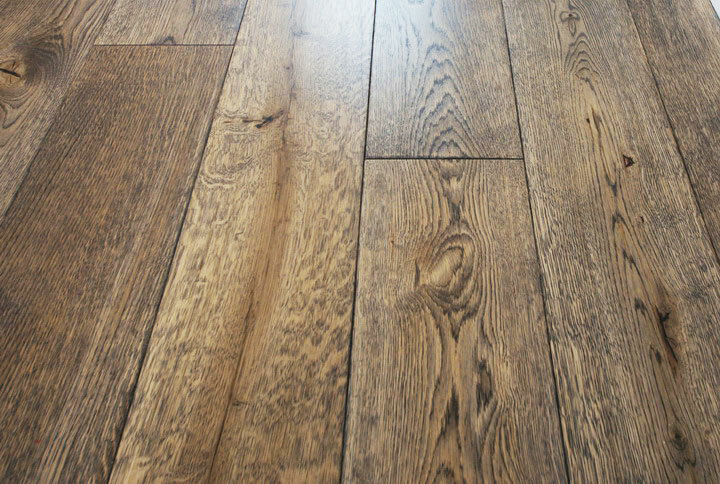 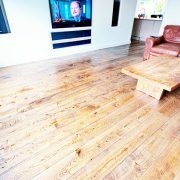 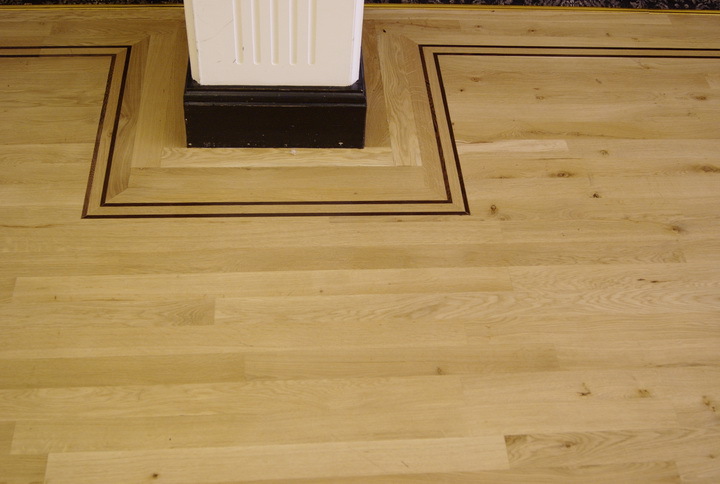 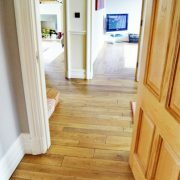 Here is a fine example of an aged oak floor laid a a clients house throughout the whole of the ground floor.